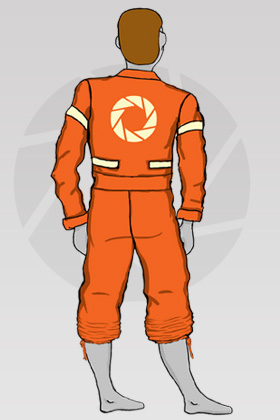 You are here: NECAOnline.com » Brand New Portal Items Coming Up In 2012! 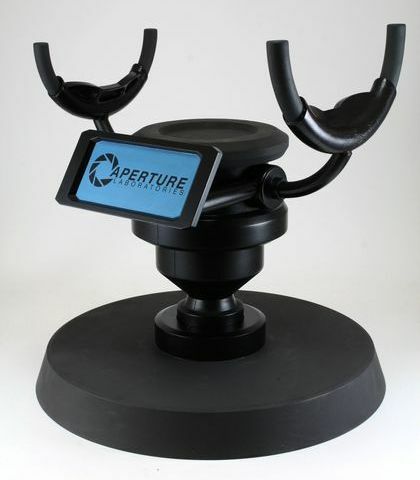 We’re excited to announce 4 new additions to our Portal product family. 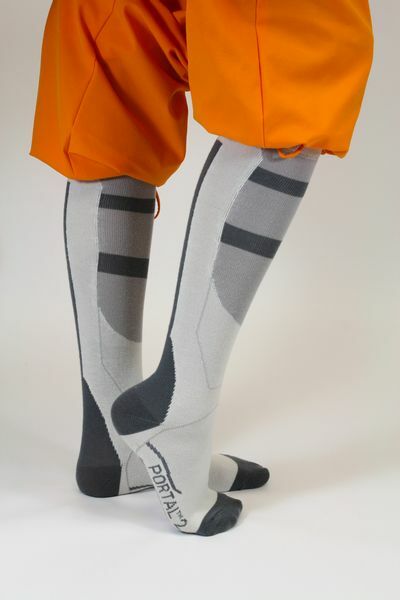 Click on the links below to learn more and pre-order yours. Test in style! 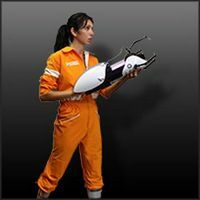 Based on the jumpsuit worn by Chell in Portal and Portal 2, this unisex model comes in 6 different sizes, with adjustable elastic waistbands to give you even more freedom. 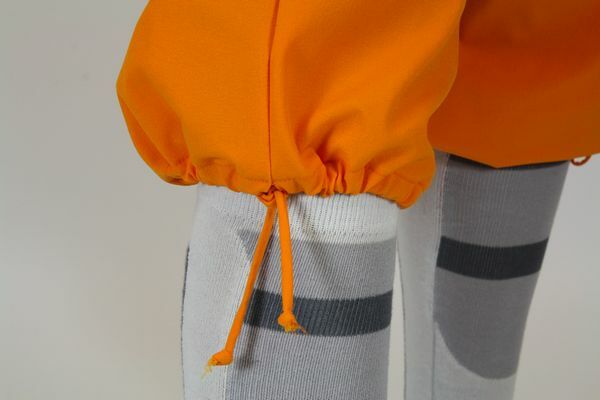 Sleeves can be cuffed or tied around the waist. 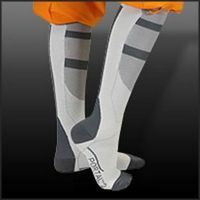 Check out the measurements below* to see which will fit you best. Note that the Jumpsuit is cut to give 3 to 5 extra inches of room around your actual measurements. 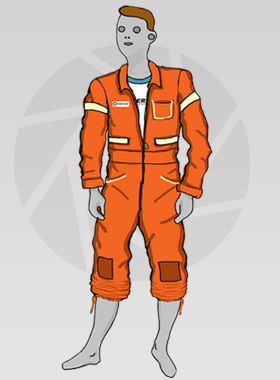 1 chest patch pocket, 2 inserted waist pockets. 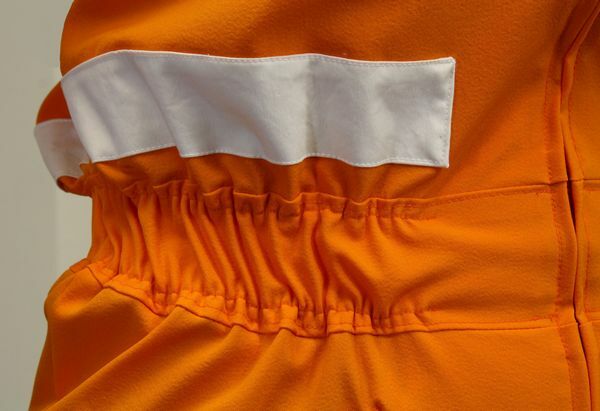 95% Nylon, 5% Spandex twill. 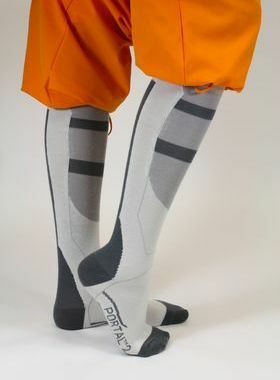 * Measurements and proportions are approximate. 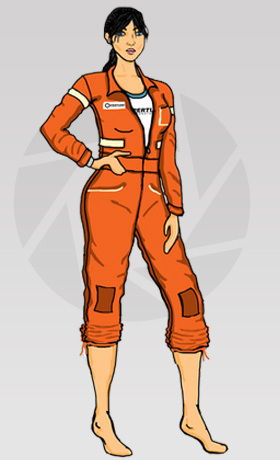 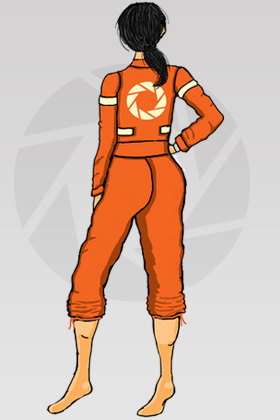 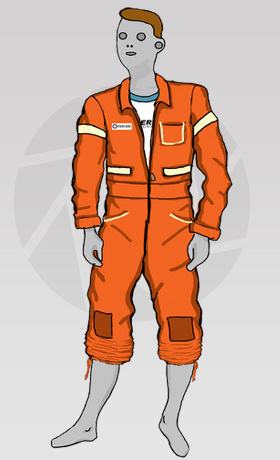 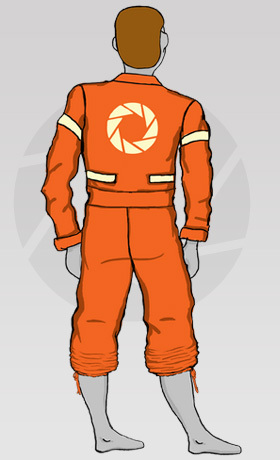 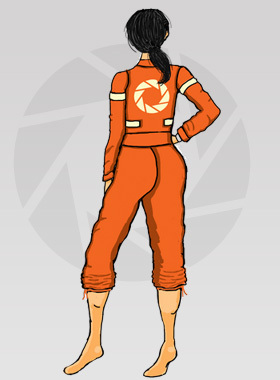 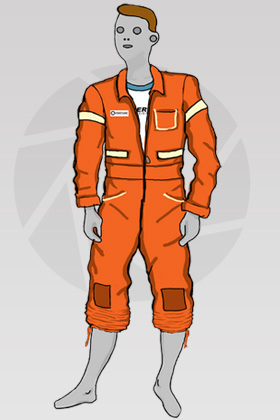 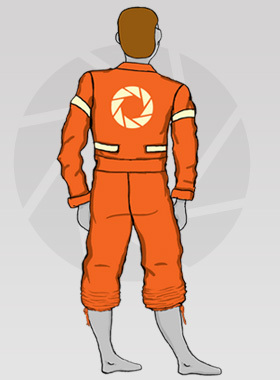 Pre-Order The Official Aperture Science Jumpsuit Now! 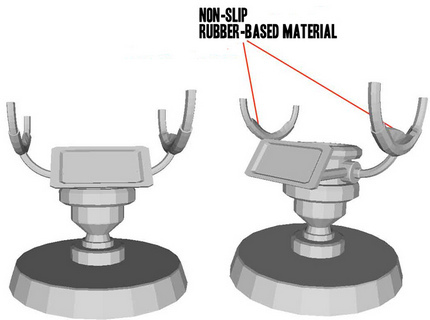 The Long Fall Boots were designed to minimize impact damage and protect the ASHPD from costly repairs! 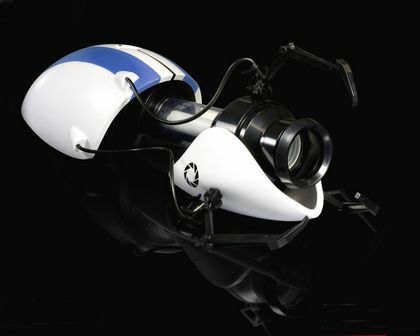 Not to mention, it has the added benefit of protecting human Test Subjects from injuring themselves! 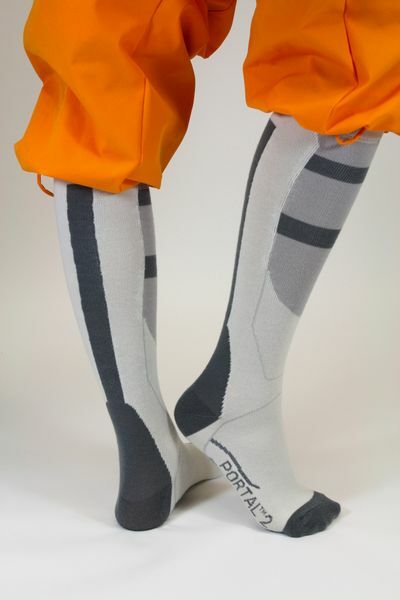 The Aperture Long Fall Socks may not have the technology to protect you from falls, but you can look the part! 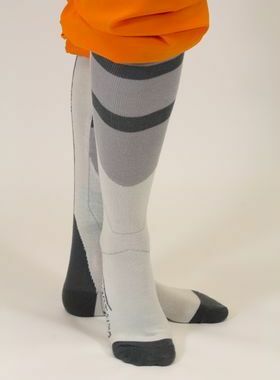 Knee High, Poly/Acrylic Blend. 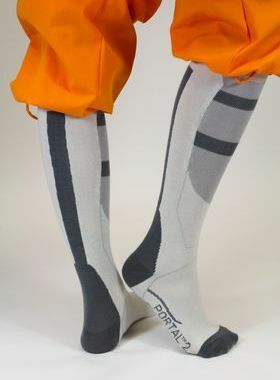 Adult sized, fits most. 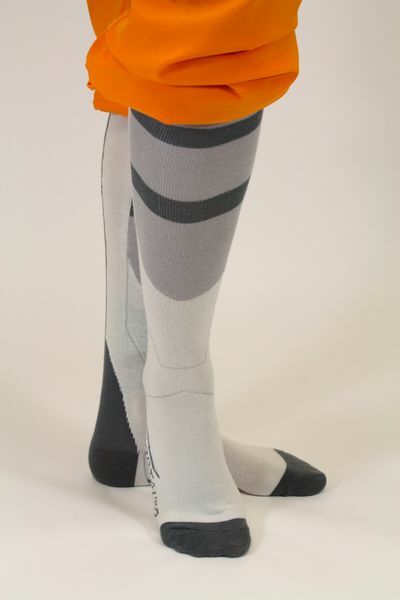 Pre-Order Aperture’s Long-Fall boot Socks Now! 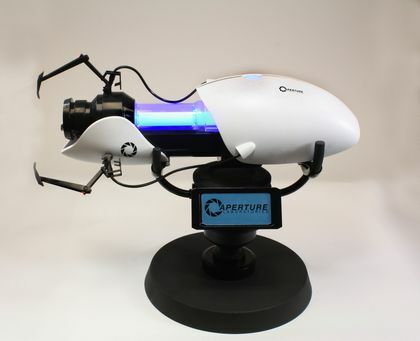 The 2nd edition of the Co-Op ASHPD is Atlas’s weapon of choice, featuring blue and violet colored LEDs. 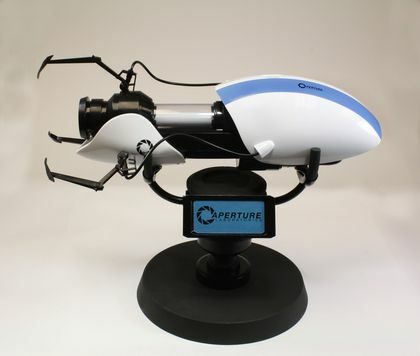 Like the original ASPHD and P-body’s, Atlas’s device is a 1:1 scale replica that measures 30″ in length, features a replica shell with blue racing stripes, and includes sound effects pulled directly from the game. 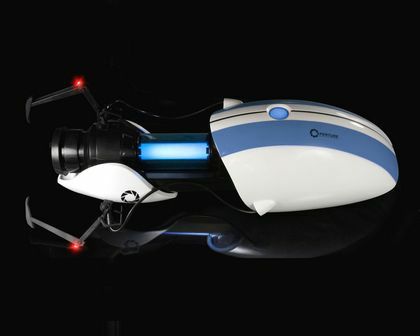 Requires 3 “C” Batteries, not included. 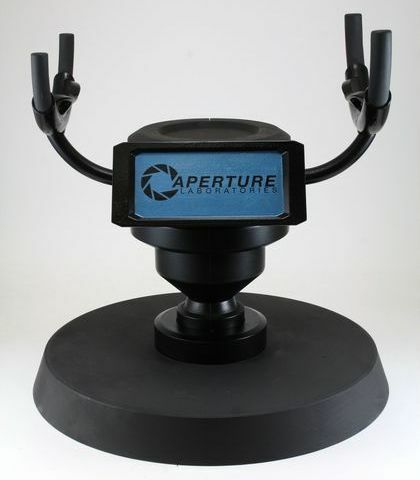 Closed Box packaging. Limited edition of 5000 units. 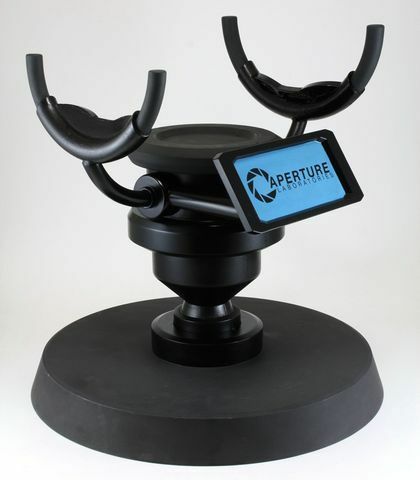 Pre-Order Atlas’s Portal Device Now! 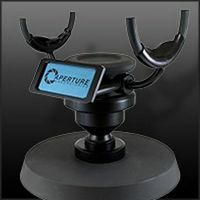 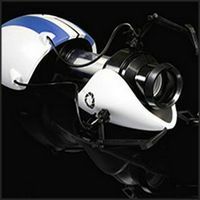 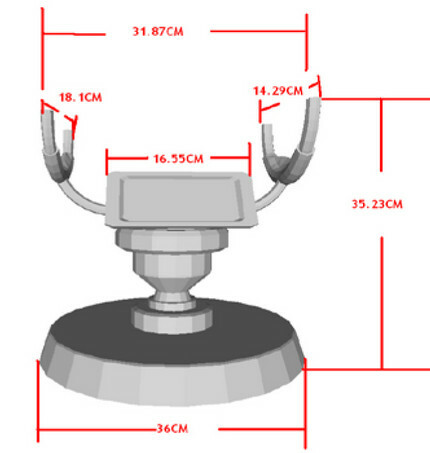 Pre-Order Your Portal Device Display Stand Now!